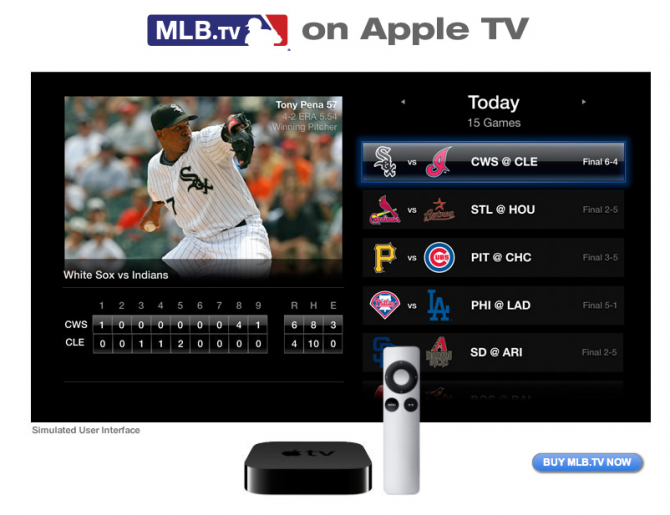 AppleTV 4.2 update adds MLB.TV, NBA League Pass - iPhone.MY - Daily News On Mac, iPhone, iPads, iPods and more! In addition to all of the multi-touch iOS devices, our little AppleTV peripheral got a nice little update of its own today, including the addition of MLB.TV, and NBA League Pass integration. AppleTV says it is 4.2 but in the Apple download direct links, it says 4.3. Whatever. Sports! iPhone 5: launches early 2012? Copyright © iPhoneMY 2015. Hosted by Exabytes Network.